Drug Design, Volume VII covers the design of agents such as blood substitutes, pesticides derived from insect pheromones, and herbicides related to the auxin-type plant hormones. The book discusses the design of artificial blood substitutes and auxin-type herbicides; the use of insect pheromones as a basis for the development of more effective selective pest control agents; and the development and application of new steric substituent parameters in drug design. 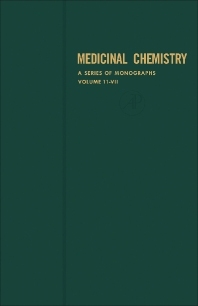 The text also describes the use of computer technology in drug design. Pharmacologists, chemists, biochemists, and people involved in drug design and manufacture will find the book invaluable.